Partner with the Most Reliable. Just like you, Trane is known for building reliable and high-quality systems that stand the test of time. Through acting as a trusted advisor, we are here to provide industry expertise to help with the full range of customer opportunities and challenges, as well as training, marketing, and sales excellence tools. It’s important that you get the most out of your maintenance staff and budget, and HVAC is among the highest maintenance requests and work orders. Are you ensuring that your HVAC equipment lasts as long as possible? We can help make sure you are. Today’s homes are all about the bells and whistles, and Trane’s high-efficiency and communicating systems can help make sure your homeowners have the smartest home on the block. From variable speed technology to connected controls, these upgrades can positively affect HERS scores, keep energy bills low, and allow homeowners to stay in the know whether they are at home or on-the-go. When building a dream home, there can be endless things to consider, but it doesn’t have to be overwhelming. And while there are plenty of upgrades available to homeowners, one of the best investment opportunities can be in something you can’t necessarily see—home comfort. Trane has a system for all homeowner needs and upgrades to enhance their lifestyle. Sixty percent of households are affected by indoor allergens—your homeowners shouldn’t have to be concerned about their family breathing air that contains pollutants. Fortunately, there are upgrades you can provide while building their dream home to help ensure you’re creating the healthiest environment possible. Our products electronically filter and monitor the indoor air quality and are designed to prevent and remove environmental problems like odor, mold, and mildew from arising in order to promote improved health. With today’s technology, you can be connected to everything—why not be connected to your home? From zoning to energy consumption, ComfortLink™ communicating technology connects all of a home’s key components, ensuring systems automatically configure and calibrate for optimal performance. With technology found in all of our connected controls and TruComfort™ variable speed systems, homeowners can monitor their HVAC system from anywhere in the world. If an issue arises, an independent Trane dealer can be alerted and even remotely diagnose, limiting potential callbacks and helping create the optimal home environment without the use of extra energy. 92% of customers who upgraded to a super high-efficiency system were satisfied with their purchase. Building a dream home is an exciting and often once-in-a-lifetime experience. 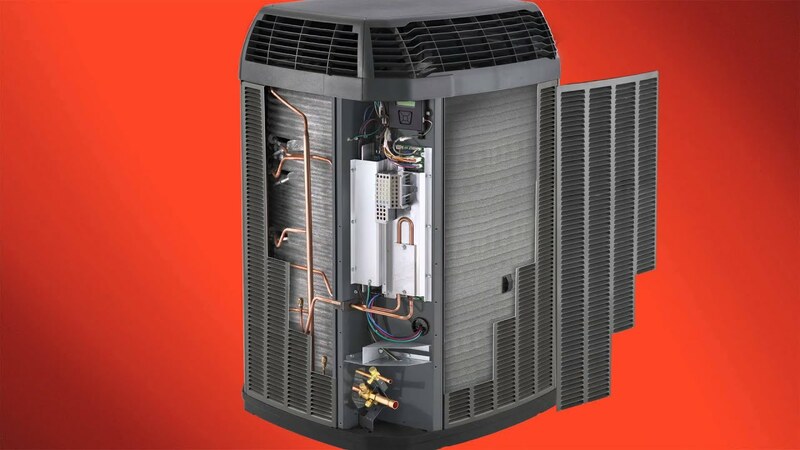 Through the building process, make sure your homeowners are also investing in their family’s comfort and health with the full line of Trane systems and system upgrade options. From clean air to hi-tech homes, each month when your homeowners pay their utility bills and don’t suffer from allergies, they’ll be reminded of how efficiently their home is running. At Trane, we’re passionate about creating comfortable home environments. So while you’re building someone’s dream home, partner with the most reliable. From our large dealer network with dedicated field service representatives to our top-notch customer service team, we provide individualized attention that is unrivaled. © 2019 Trane Residential. All rights reserved. Ingersoll Rand is a diverse and inclusive environment. We are an equal opportunity employer and are dedicated to hiring qualified protected veterans and individuals with disabilities.